Rain: at least it’s good for the plants. You are not a prisoner to the hostel. Don’t be like this girl clawing at the window in desperation for something to do on a rainy day! All is not lost when the heavens open. There are still ways to make the most of wet weather days when in staying in a hostel, from keeping in touch with family and friends back home to playing card games with your hostel peers. Some of the best socialising and organising days come from rainy days, which is sometimes welcomed after a long period of intense travelling. Remember to browse through the pages of BackpackerGuide.NZ for rainy activities in your locations, such as 7 Ways to Spend a Rainy Day in Rotorua. When rain strikes, it is the perfect opportunity to take the time to tell all your friends and family about your recent adventures. For the old-fashioned ones, write your postcards or letters too. We know how exciting New Zealand can be and that it is hard to find time to keep in touch with home. Rainy time is usually down time, so seize the opportunity to update you blog, travel journal, scrap book, or however you like to remember your travels. If you don’t have one, now would be a great time to start! Check out our 8 Fun Ways to Document Your Travels in New Zealand for inspiration. The book exchange shelf in your hostel may hide a story that will change your life forever! There is nothing better than discovering an engaging book out of nowhere. A customary thing to do is to write a little note on the inside of the front page for the next traveller that reads this book after you. Did you know that Abraham Lincoln was gay? Did you know that Winston Churchill had 18 kids, all girls? Did you know that Gandhi once went 300 days without food? Did you know that Napoleon had a wooden leg? Well… all of this is totally false. If you believe any of that, you might want to learn a bit more about those historical figures. They all did great things. If you are “that” guy, pick up the guitar that’s usually left somewhere in your hostel and start practicing. Be mindful of what you are playing and how repetitive you are though – your fellow hostel-dwellers have to listen to you. Also, take the time to teach a few notes to others. And by “that” guy, we mean one of the 19 Backpackers That You Will Meet in Every Hostel. Everybody in the kitchen! The concept is simple: each person cooks one dish and shares it with the group. It usually makes for a very fun time in the kitchen as a group… Food is just an added bonus. A variant of this could be to simply bake or cook together as a group. Shared meals are part of what makes life in hostels so great! For some quick food tips, take a look at 10 Meals Easy to Cook in a Hostel. Be a tidy backpacker and organise your photos in different folders. The thousands of photos that you no doubt take can quickly become a nightmare to load or browse when showing them to others, so take the time to organise them once in a while. A dull day coming up? Take the opportunity to check out our extensive website for the next best place to go to. Make a short bucket list for the few spots that you would like to discover and budget properly so you know where you are at. There is nothing better than a well-planned trip, especially when it is as easy as reading our website. [Insert winky face here]. Every hostel has a TV and a selection of somewhat unpopular movies. (For whatever reason, hostels rarely have critically acclaimed movies). Make a game out of picking the movie like placing a bunch of DVDs in a pillow case and picking one randomly that everybody has to suffer through. There is not a hostel lounge without a selection of (incomplete) board games. Get together and learn a new game. Play a classic or simply pick up a deck of cards and play, our personal favourite, Yaniv! If that is not enough for you, somebody in your group is sure to know a game that you’ve never played before and will have nothing better to do than teach you. For the full rules to the Yaniv card game, check out The Card Game Every Backpacker Should Play in Their Hostel. …the library, museum, hot pool or the pub… It is likely that one of the guests in your hostel will have his or her own car. Ask them if they are heading out and get yourself out of the hostel and make the most of your day. If you have a car of your own take the time to ask around if anybody would like to catch a ride. 13. 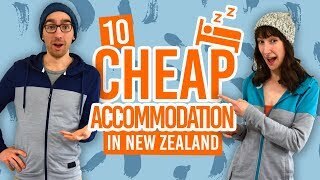 Watch New Zealand’s Biggest Gap Year! Get some inspiration for your New Zealand travels by binge-watching New Zealand’s Biggest Gap Year on YouTube. 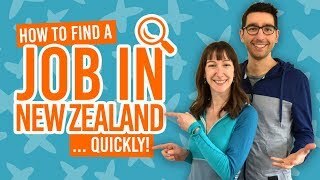 Watch as this intrepid pair tackle 365 Days: 365 Activities in New Zealand! Make sure you subscribe!